Probashbangla24 online Desk : A Conservative MP says she sees no alternative other than backing another referendum on leaving the EU. 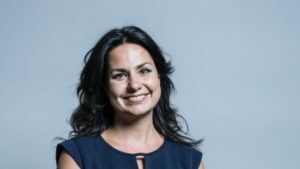 Heidi Allen becomes the latest Tory to support a new vote, saying the “right-wing” of her party had made Theresa May’s Chequers Brexit plan – “dead”. The prime minister has ruled out a referendum on the outcome of the Brexit negotiations. Mrs May’s Chequers plan – which would keep the UK closely aligned with the EU in trade in goods – has been heavily criticised by Tory Brexiteers, including Boris Johnson. Ms Allen – who campaigned to Remain in the EU in 2016 – told Radio 4’s Today programme that while she would still support in principle an “11th hour” deal from Mrs May and the EU, “too many” of her party – especially those on the right – would not. The South Cambridgeshire MP said she had been left with “no alternative other than asking – should we come to that, no deal, that looks like that’s what’s going to happen – then we need to go back to the public to decide what they want us to do next.” On what a further referendum could look like, Ms Allen suggested that it should include the option of staying in the EU under existing terms. Heidi Allen joins a handful of Tory backbenchers who’ve openly said a so-called people’s vote may now be needed. And as someone who supported Remain, her comments may come as no surprise. But, perhaps more significantly, she is the latest person to suggest that Theresa May’s Chequers plan is dead. The blueprint, for our future relationship with the EU, has never been liked by the Leave supporting contingent. But people like Heidi Allen had previously said that they would at least give Chequers a chance. No more. It comes as Labour – not to mention the EU – has also declared that the proposals are unworkable in their current form. And while Number 10 is sticking to its guns, there must be a big question as to how long this situation can be sustained. 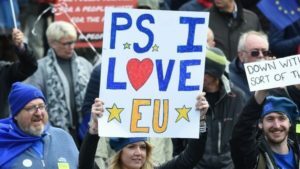 The People’s Vote campaign group wants to give the public the final say over whether the UK leaves the EU, arguing that voters should be given a choice between leaving with or without a deal or staying on current terms. Anna Soubry, Justine Greening and Sarah Wollaston are among the Conservative MPs who have supported a further referendum. On what a further referendum could look like, Ms Allen suggested that it should include the option of staying in the EU under existing terms. Anna Soubry, Justine Greening and Sarah Wollaston are among the Conservative MPs who have supported a further referendum. Ms Allen’s comments come after ex-PM Sir John Major also made the case for another Brexit vote and highlighted the “completely unacceptable” attacks by certain Tory MPs on Mrs May. Former foreign secretary Mr Johnson set out his “better Brexit plan” and refused to rule out a leadership challenge. Last week Labour members voted to keep the option of another referendum on the table if parliament is deadlocked over the final outcome the government’s Brexit negotiations.